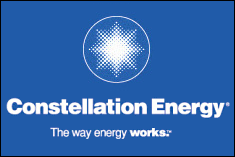 Renewable Energy World.com reports Constellation Energy was selected by the State of Maryland to develop a 15.9 megawatt (MW) solar photovoltaic (PV) project as part of the state’s “Generating Clean Horizons” initiative. The project is expected to be completed by December 2012 and is the largest solar photovoltaic installation in Maryland. The Maryland Energy Administration, in partnership with the University of Maryland Systems and the Department of General Services awarded four renewable energy projects under the initiative to help in developing large scale, commercial renewable energy projects.